This Thursday, Aug. 11, the town of Salemi celebrates the 12th Edition of the Sagra della Busiata; That is, a culinary festival dedicated to the corkscrew-shaped, long pasta particular to Trapani province. In this photo, taken in May by Vincent Titone, I am attempting to make busiate. Our Sicilian hostesses in Castellammare del Golfo made it look very easy. Let me say, it is not easy. No, not at all. I tried and tried. And I failed! (I will keep trying, however!) There is a special touch and a keen strength needed to make the fresh dough wrap around the thin reed used to create the corkscrew shape. It appears to be just a gentle roll off the heel of your hand, but appearances can be deceptive! Well, regardless, if you are lucky enough to be near Salemi on Thursday, run to this festival–the streets will be filled with chefs making busiate from scratch and competing for the honor of top prized dish (Note: the design of the pasta is conducive to holding sauce very, very well.) They’ll need your help to eat it all, and there will also be lots of wine on hand to enjoy along with your busiate. All for €4! Although we won’t be in Salemi for the Busiate Festival, during Savoring Sicily, our Sept. 22 – Oct. 4 small-group, multi-sensory tour, we’ll be visiting this fascinating town. There are just 4 spots left! 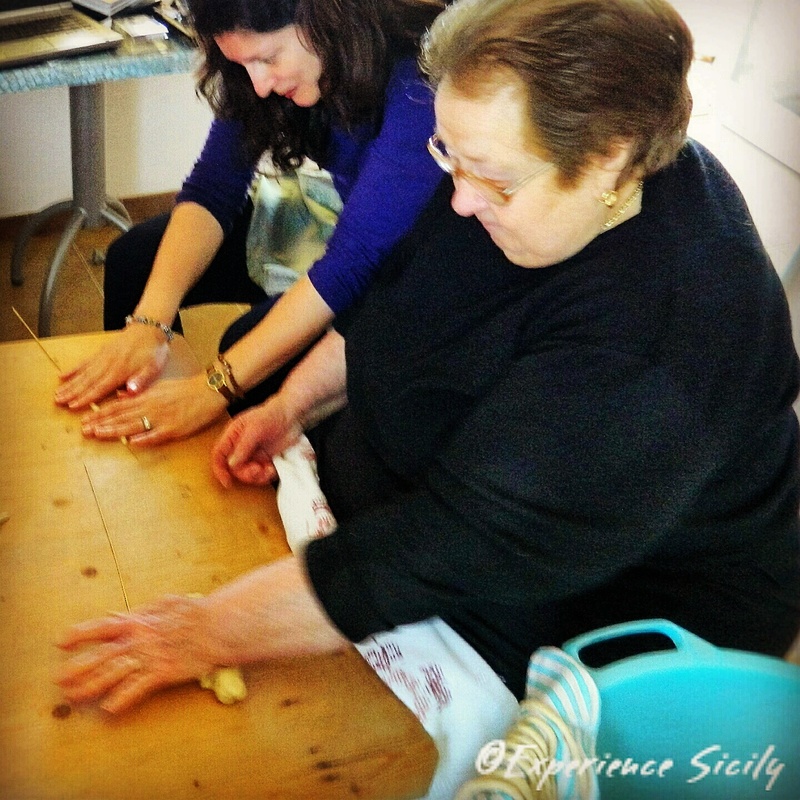 Join us by contacting me at AllisonScola@ExperienceSicily.com.